Koh Phayam , kangaroo shaped small island, 35 Km from Ranong , opposite Burmese St. Matthew's Island is the main tourist spot in Thailand Ranong province . 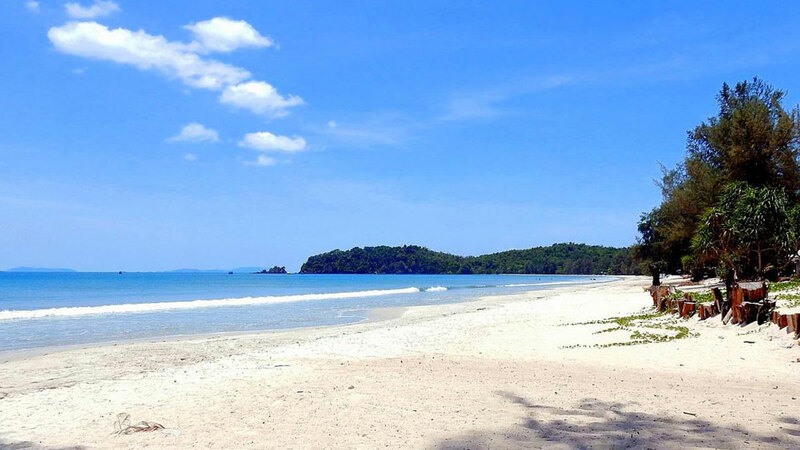 Koh Phayam is only 10 km long and 5 km wide with population around 500 people. Koh Phayam is still surrounded by natural environment. Small roads without cars – just motorcycles and bicycle for cruising around. Electricity is delivered by solar energy as well as private generators. 3 resorts in the island have electricity 24 hours – Buffalo Bay Vacation Club, Phayam Cottage and Blue Sky. Satellite and mobile internet service have set up in many accommodation and restaurant and mobile phones have almost in every bungalow or resort. If you are planning to get married or renew and you are worried about the cost of a large event to which all your relatives must be invited, or if you are already married and wish to crown your honeymoon with a very special memory, let's us arrange you full details of a wedding so special that you can telling your grandchildren about it on the day of your Koh Phayam Wedding Packages. Buddhist Blessing Ceremony : Temple in Koh Phayam will be your Blessing Ceremony located for your blessing day to touch the target of good luck good love and good life after participate in this Blessing Ceremony by Monk. Browse our Koh Phayam Wedding Packages Showcase - Married Couple at Koh Phayam : Ranong, Thailand.